(TibetanReview.net, Sep25, 2018) – Acting under apparent pressure from Beijing, the supposedly autonomous government of Hong Kong special administrative region has banned a pro-independence political party under a colonial-era legislation previously used to target “triad” criminal gangs. The move has been strongly criticized by rights groups and pro-democracy politicians as a curb on freedom of speech in the city, reported the Cantonese Service of rfa.org Sep 24. “I hereby order that the operation or continued operation of the Hong Kong National Party (HKNP) in Hong Kong be prohibited,” John Lee, Hong Kong’s secretary for security, was quoted as saying in a formal notice via the government’s legislative gazette. The notice was to take immediate effect from Sep 24 itself. 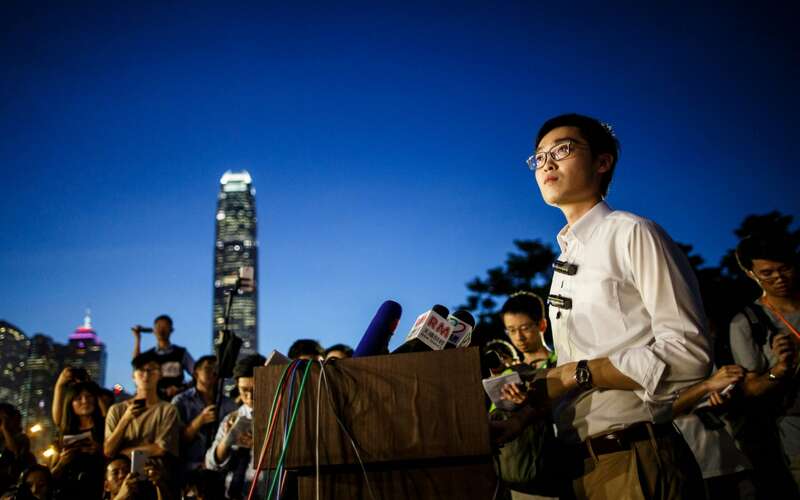 The move was said to have followed Hong Kong police claim that the HKNP and its leader Chan Ho-tin, also known as Andy Chan, posed an “imminent threat” to China’s territorial integrity and national security, because Chan had refused to rule out the use of force or civil disobedience. Citing more than 700 documents it had gathered as “evidence”, Hong Kong police has claimed that the party aimed to build a republic of Hong Kong and abolish its mini-constitution, the Basic Law, whose first principle says the city is an administrative region of the People’s Republic of China. The allegations are said to cite Chan’s pro-independence activities, which include “infiltrating” secondary schools via his party’s “political enlightenment” program, publishing articles, taking part in elections to the Legislative Council (LegCo), and various fund-raising and campaigning activities on the streets of Hong Kong. The report said the ban had prompted a storm of criticism from pro-democracy politicians and rights groups on Sep 24. Civic Party lawmaker Alvin Yeung has said that while he had no time for the HKNP’s pro-independence platform, the government had no business interfering in political opinion and that imposing a ban was not the democratic way. He has added that the protection of free speech was provided for in the Basic Law, Hong Kong’s mini constitution. Democratic Party lawmaker Au Nok-hin has said the government’s definition of “harming state security” was too broad and vague, the allegation Beijing also faces for persecuting dissidents and activists critical of government highhandedness. And the rights group Hong Kong Watch has said the ban was “a clear breach” of the promises made by the ruling Chinese Communist Party in the handover agreement. “The banning of the Hong Kong National Party is another example of the Hong Kong government appropriating vague and anachronistic colonial legislation to curtail basic rights and freedoms,” it was quoted as saying. It has said the Societies Ordinance was created to target triad gangs and was only used in political situations where groups were planning to overthrow the government “through violent means”.